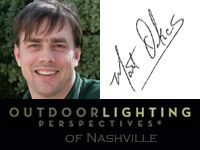 Outdoor Lighting Perspectives of Nashville lights the capital tree in Nashville for the second consecutive year! 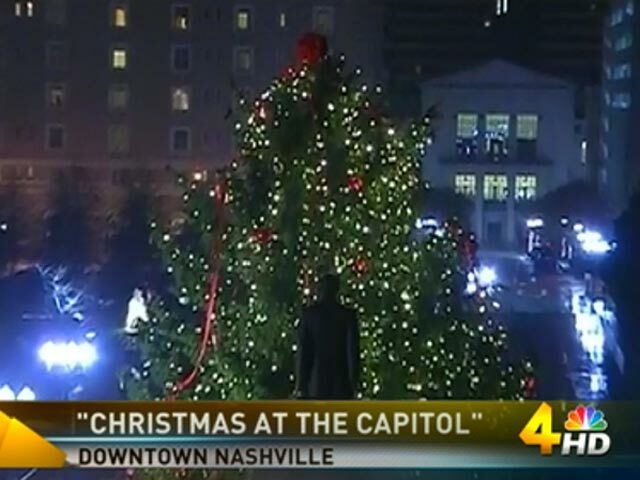 Christmas at the Capital 2013 courtesy of WSMV-TV in Nashville. 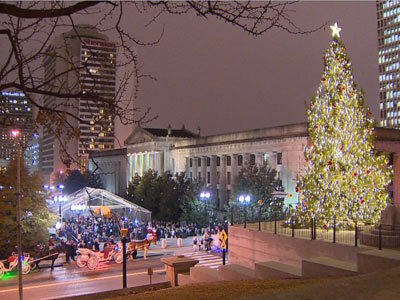 Outdoor Lighting Perspectives of Nashville was chosen to light the Nashville Capital Christmas tree for the second consecutive year. Our diligent efforts came to fruition as the Governor, Bill Haslam and his wife, Crissy, kicked off Christmas in the capital with the annual tree lighting ceremony this past Monday. The tree selected as this year’s Capital Tree is 55-foot Norway Spruce chosen from the Cumberland Forest, where the University of Tennessee uses the roughly 8,000 acres of land for research, due to a storm that hit Nashville a few years ago. Outdoor Lighting Perspectives of Nashville is using over one mile of lights to illuminate this majestic tree via an 80 ft. articulated lift to ensure every light is placed in the perfect spot to shine brightest. We are also topping this beauty with a three-foot jeweled star as the finishing touch. Christmas tree lighting in the Capital. WBIR-TV out of Eastern Tennessee recently aired a segment outlining the selection of the majestic tree chosen as this year’s annual Christmas conifer. The WBIR article pointed out that up until this year, the state capitol had been using a donated tree. This year’s tree was carefully selected from the Cumberland Forest after it was used in a University of Tennessee study on growing Christmas trees on abandoned strip mines where it was planted as part of the study back in 1985. In 2009, when a windstorm blew over the capitol Christmas tree and urgent help was needed for a replacement, the Cumberland Forest was there to lend a hand. Upon receiving the news, they immediately began looking around the property and submitted a few pictures of some trees that could serve as a quickly needed replacement. This entry was posted in Christmas Lighting, Holiday Lighting, Holiday outdoor tree lighting, Holidays and special events, Lighting the Capital Tree in Nashville TN, Nashville Christmas Lighting, Nashville Holiday Lighting, Outdoor Lighting Special Events and tagged Christmas lighting Nashville, Cumberland Forest, East TN Christmas tree chopped for Nashville ceremony, Nashville capital tree lighting ceremony 2013, Nashville Christmas Lighting, Nashville holiday lighting, Nashville special event holiday tree lighting, Nashville TN Christmas at the Capital event, Nashville TN holiday lighting design and installation, Outdoor Lighting Perspectives of Nashville chosen to light the 2013 TN capital tree, TN capital tree lighting for 2013, TN Governor Bill Haslam, University of Tennessee, WBIR-TV, WSMV TV channel 4 Nashville by outdoorlightingnashville. Bookmark the permalink.